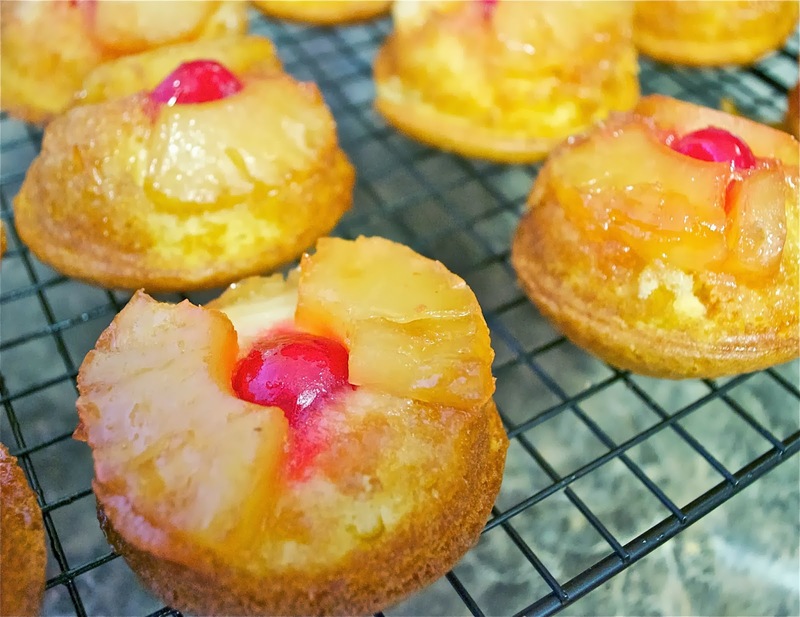 It was recently my Dad’s 70th birthday, and when I asked him what he wanted me to make him, he requested Pineapple Upside Down Cake. I had never attempted it and couldn’t remember the last time I’d had it. I wasn’t even sure I liked it. But since it was what my Dad requested, I got to it. I’ve always preferred to make cupcakes over cake. They just seem so much more portable and they are easier to eat wherever and whenever, without the need for plates and silverware. (Not that it is really necessary to eat cupcakes on the go! Or is it??) Plus, it gives you an excuse to use cute cupcake liners. 1. Preheat oven to 350 degrees and spray 24 regular sized muffin tins with cooking spray. 2. Cut each pineapple into 4 pieces and set aside. In a large bowl, beat cake mix, oil, eggs and reserved pineapple juice with electric mixer on low for about 30 minutes. Then, beat on medium speed for about 2 minutes. 3. In a small bowl, stir together melted butter, and brown sugar. 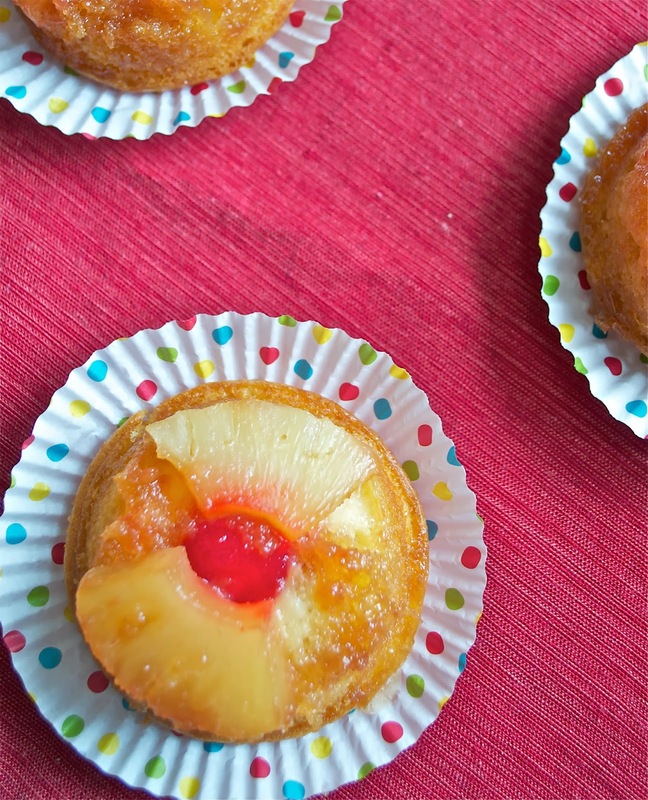 Spoon about 1 1/2 tsp of the butter and sugar mixture into each of the muffin tins, then arrange 2 pineapple slices and 1/2 cherry in each tin on top of that. Fill the rest of each muffin tin with about 1/4 cup cake batter. 4. Bake 20-25 minutes, or until a toothpick comes out clean. Cool for about 10 minutes on a wire rack, then loosen edges with a knife and carefully invert the entire pan on a cookie sheet to get the muffins out.